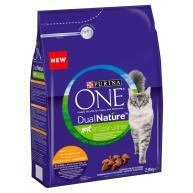 Purina One Dual Nature Salmon Adult Cat Food is a 100% complete and balanced kibble that's packed with essential nutrients and rich in salmon that your cat will love. 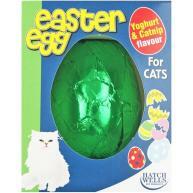 What's more, it contains natural Spirulina that can help to support your cat's healthy immune function. 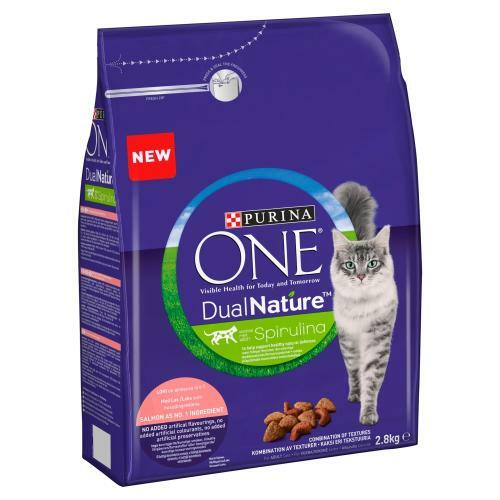 Purina One Dual Nature Salmon Adult Cat Food is an exciting combination of dry crunchy kibbles and softer, more tender kibbles, containing high quality protein as a good source of amino acids, to help support a healthy digestive tract.